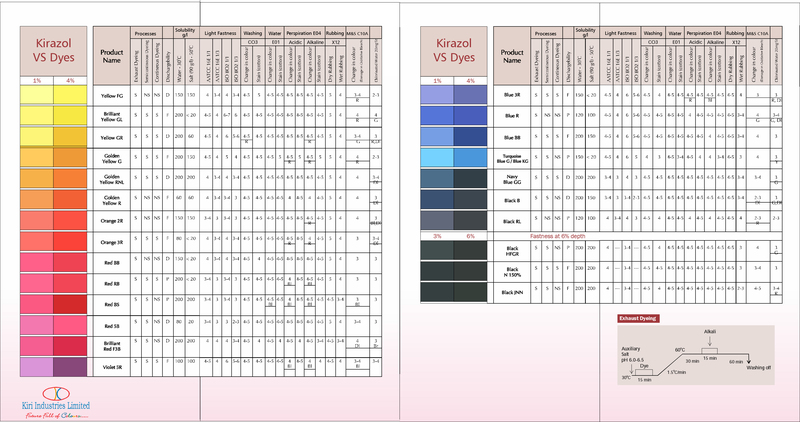 Kirazol VS Dyes | Kiri Industries Ltd. These are vinyl sulfone ester reactive group dyes suitable for exhaust dyeing, cold pad-batch dyeing and printing. They are specially recommended for white discharge printing.